There are many reasons why both home and business owners install roller shutters. Store owners mainly use them for security purposes. However, roller shutters are not limited to commercial use. You can also install domestic roller shutters for added protection against burglary attempts. Roller shutters are closely fitted to the windows, making them quite difficult to take down. People also refer to roller shutters as roller doors. In some cases, people call them ‘overhead doors’. They can come in the form of a door or window shutter and they are typically composed of several horizontal slats connected by hinges. Some designs have perforated bars or systems instead of horizontal slats. There are many uses of roller shutters and they can be utilised on a wide range of applications. Businesses can use them as doors for garages, warehouses, establishments and even vans. However, apart from the aforementioned, homeowners can also mount roller shutters to their windows as an added security feature for their abode. Below are the top benefits you can enjoy when you install domestic roller shutters. Crime rates continue to increase and in Australia alone, there are over 200,000 burglaries every year. The Australian Institute of Criminology also estimated that this year, one out of 49 houses will be broken into. It is also worth noting that the highest national burglary rates are in Western Australia and the Northern Territory. With the alarming burglary rates in Western Australia, you will consider domestic roller shutters as a valuable investment. 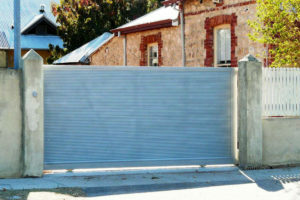 Here at Aus-Secure, we offer roller shutters that have been proven as a deterrent to potential theft. Aside from providing security to your home, they also offer other lifestyle and financial benefits. You can also ask us to customise the features of your roller shutters. The summer heat can become intense during summers. Many people believe that installing blinds or curtains is enough to stop the heat from coming inside their home. What they don’t realise is that when the window’s glass absorbs the heat, it is passed on to the blinds or curtains. By mounting roller shutters to your windows, you can get protection from the heat as well as the harmful UV rays coming from the sun. The roller shutters will absorb the heat and prevent it from entering your home. During winters, it can also serve as a protective layer that prevents the heat from escaping your home. In this way, you can lessen your heater or air conditioning unit usage and lower your electricity costs. When you install roller shutters on your windows, you will have control over the amount of natural light you can let into your home. Just roll them up to brighten an indoor space or you can roll them down to dim the lights. You can also use roller shutters to give privacy to your home. If your house is not surrounded by walls, the shutters can be an ideal option for adding privacy to your windows, especially the ones on street level. In this way, you can prevent people from peeking through your window. 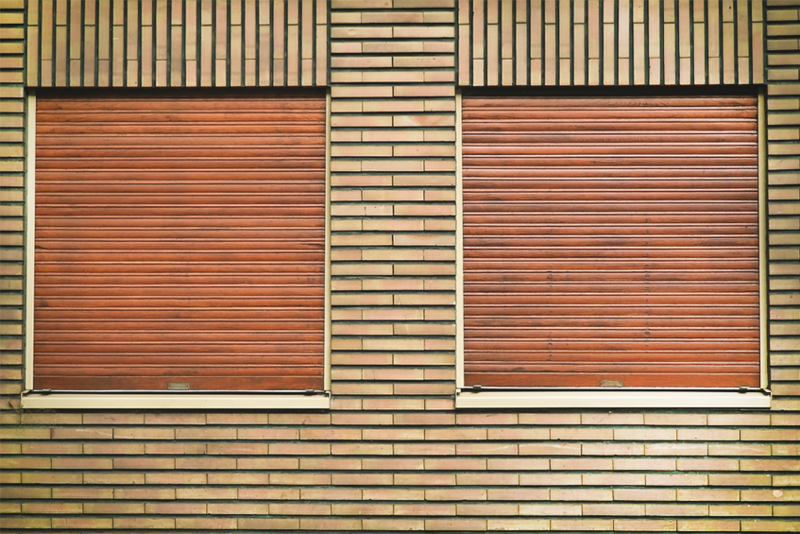 Aside from giving you control over natural light and your privacy, roller shutters can also function as noise blockers. If you live along a busy street or you simply want to have a peaceful living space, domestic roller shutters can help you reduce outdoor noise. Roller shutters can absorb the sound and keep the noise down by 50%. During powerful storms, the winds can break your windows, making your home’s interior vulnerable to further damage. When winds smash your windows, they can also bring an upward pressure that can send your roof flying. When worse comes to worst, your home may be compromised and your walls may collapse. During a storm or a hurricane, when your windows are broken, water may also come in. It is worth mentioning that even an inch of floodwater inside your home can cost you hundreds of dollars. When you throw a rock at an unprotected window glass, it can shatter. The same is true when the forceful winds of a hurricane or storm drive a rock at over 155mph. So, even before the rainy season begins, remember to protect your windows by installing roller shutters. By keeping your windows protected, you can prevent storm damage and even save your loved ones from injuries. Many areas in Western Australia are prone to bush fires. So, you might want to consider installing domestic roller shutters on your windows. If you live in a bush fire zone, it is important that you take preventative measures to protect your home and its contents against fire. Even if you are a kilometre away from the fire, your glass windows can still be vulnerable. The wind can carry the radiant heat and break your glass windows. Regular windows only provide basic protection against bush fire and even double-glazed winders can shatter from the heat. When your glass windows are broke, the embers can fly into your home and start a fire inside. While it is true that no roller shutter is absolutely fire-resistant, properly rated aluminium roller shutters can already provide a reliable protection for your glass windows. They can prevent the glass from shattering and letting flying embers start a fire inside your home. When you improve the security of your home, you can potentially lower your contents insurance premium. When you have roller shutters mounted to your windows, your insurance company will consider your home as less of a risk. With an increased protection against burglaries and storm damage, you can ask for a discount on your insurance rates. In any case, it is worth asking your insurance company for offers like this. Here at Aus-Secure, we offer a selection of roller shutters that come in a range of designs and styles. This also means that by mounting roller shutters to your windows, you can increase the exterior appeal of your home. This is also especially useful when the time comes that you decide to put your house on the market. The benefits of installing roller shutters go beyond security. If you want to learn more about domestic roller shutters, feel free to contact Aus-Secure. 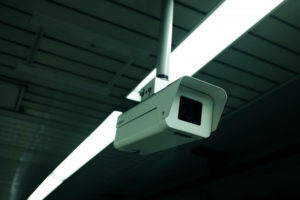 We are more than happy to help you determine the ideal security solution for your specific needs.